Mr. Dankberg offered his thoughts regarding 2018. He co-founded Viasat Inc. in 1986 and has led the company’s rapid growth. Under his leadership, Viasat has consistently been one of America’s fastest growing technology companies. As a start-up, Viasat was selected to the Inc. 500 list of fastest growing private companies three times. After listing on the NASDAQ exchange in 1996, Viasat has been recognized multiple times by leading business and industry publications. “Global inequality has previously been exacerbated by the opportunity made available to the haves versus have-nots. These inequalities can be seen in the “digital divide” which exists between nations and regions where some have access to high-speed connectivity and others do not. Regions with broadband can grow their economies, attract further investment and plough that money straight back into their communities — ultimately creating a circle where the haves get ever-better services and the have-nots are left stagnate. “It’s obvious that providing faster connections to all regions should be a priority – providing the everyday benefits the internet affords, and giving people access to more economic opportunities. However, the service needs to be affordable and sustainable: not requiring years or decades of investment and infrastructure. “This is exactly the issue Viasat addressed this year with our satellite-enabled ‘Community WiFi’ service. Rolled out across Mexico this year and available in rural parts of the U.S., the service uses Viasat’s existing satellite network — comprised of our ViaSat-1 and ViaSat-2 satellites — to provide high-speed internet over WiFi hotspots to communities where broadband has been historically unavailable or unusable. We’re working to bring this solution to the global population through our next-generation satellite constellation, ViaSat-3, which will provide global broadband coverage to serve people anywhere without internet access. “Specifically in Mexico, we are using our existing satellite network to deliver an internet service that can be deployed with minimal local infrastructure investment, and low ongoing costs—making it simple for these communities to fund through the increased economic opportunities the connection offers. We have already reached hundreds of thousands of Mexican citizens, and we expect to reach millions more. 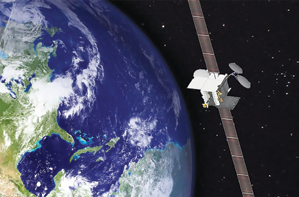 Once ViaSat-3 comes online, beginning in 2020 — we plan to expand the service into other regions where the digital revolution has, so far, left many communities behind. “This year we also began to lay the groundwork for Viasat 3, signing up United Launch Alliance (ULA) and SpaceX for the upcoming launches. ViaSat-3 is set to revolutionize satellite delivered broadband. When we started construction of ViaSat-1 in 2008 ,the fastest Direct-To-Home (DTH) speeds for satellite broadband were about 1 Mbps. When ViaSat-1 entered service in 2012, we increased that to 12 Mbps. “ViaSat-2 entered service in 2018 with 100 Mbps DTH speeds. We expect that the first ViaSat-3 satellite will enter service in late 2020 capable of speeds as high as 1 Gbps. We anticipate those speeds and the associated service pricing will be very competitive in many terrestrial locations that are still under-served by fixed or mobile wireless of any generation, and satellite broadband will be the only way to achieve such speeds for people flying in airplanes, cruising at sea, enduring natural or man-made disasters, or for our armed forces defending us in distant lands. courtesy of Boeing Satellite Systems. Early in December, Viasat Inc. introduced Viasat Urban Wi-Fi, a new satellite-enabled WiFi service for cities throughout Mexico. Viasat Urban Wi-Fi is being deployed first in Mexico City, with plans to bring the high-speed, high-quality broadband service nationwide by the end of 2019. Major Mexican cities expected to receive the service, include: Cabo San Lucas, Guadalajara, Guanajuato, Puebla, Tijuana and Veracruz, to name a few. Viasat Urban Wi-Fi will offer city residents across Mexico a satellite internet service with speeds, quality and pricing that is highly-competitive to other terrestrial internet offerings. In fact, Viasat Urban Wi-Fi will offer speeds up to 100 Mbps to consumers at affordable prices. Other expected use cases for Viasat Urban Wi-Fi in city environments include the need for a resilient connectivity system—as a supplement to existing cellular networks—in times of natural disaster or national security relief. Viasat Urban Wi-Fi leverages the advanced ViaSat-2 satellite system coupled with Viasat’s satellite-enabled hotspot platform to bring high-speed, high-quality broadband internet to major cities. Viasat Urban Wi-Fi can be deployed in a matter of hours with minimal local infrastructure investment, showcasing Viasat’s ability to quickly bring cost-effective internet service to urban areas where connectivity gaps exist between demand, affordability and availability. 2018 has been an exciting year for Walton De-Ice, (W.B. Walton Enterprises, Inc.) as the company approaches 40 years of satellite industry experience helping to protect the Earth segment from the effects of weather. The company’s main focus has been keeping Earth station antennas snow and ice-free with the firm’s Plenum Hot-Air De-Ice systems, and the more recent invention — the energy-saving Ice Quake. From our original hot air (Plenum) design which mounts behind antennas from 3.7 to 32 meters, to our Snow Shield, Rain Quake, and Ice Quake, Walton De-Ice systems for 0.6 to 6.3 meter antennas, Walton De-Ice delivers the most innovative and effective solutions to help protect critical satellite networks from degradation and outages due to weather. Market demand arising from continued HTS and mobility growth has greatly benefited our business from satellite operators, service providers and integrators this past year as they have invested in new Ka-band ground infrastructure. The company continued to expand Ka-band leadership in the de-Icing field, with many hundreds of Ka-band large antenna systems now successfully deployed. Also for Ka-band, where antenna wetting alone can add significant degradation to link performance, not to mention the effects of any water in the feed bore sight, Walton De-Ice’s Rain Quake antenna covers help Ka-band (HTS) terminals squeeze even more bandwidth and bits out of links during rain events. Walton teleport customers with C- and Ku-band traditional services continued to leverage our new automation and control features, along with the Ice Quake system, a super-low energy consumption solution for shedding snow off antennas from 0.6 to 6.3 meters. The Ice Quake can deliver as much as 100x energy-savings when compared to traditional anti-icing solutions, which is why this product has been adopted in teleports as well as cable and broadcast facilities. In recent years, customers in locales such as the Middle East and Africa who experience the effects of sandstorms, sought new methods to help protect their vulnerable antenna terminals. LEO/MEO developers asked for other solutions as they looked for more cost-effective ways to protect terminals from other harsh conditions. Walton De-Ice had delivered some customer-specific integrations for these field requirements, for civil and defense applications. Customers told us they needed a solution to keep certain types of antennas operating in extreme and harsh environments, such as wind and sandstorms. Traditional antenna radomes are not built for transportable operation, yet many of today’s military, first-responder, and oil & gas applications on land can require deployable systems where harsh elements demand radome-like protection. The solution — enter the world’s first, portable, satellite Earth station antenna radome, the Walton Portable Radome (see image at right). 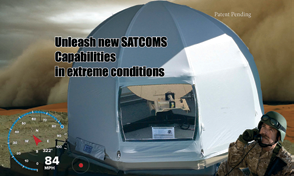 The Walton Portable Radome (Patent Pending) unleashes a entirely new set of possibilities for operating satellite terminals in extreme location, weather and mobile conditions. This unit provides a uniquely deployable weather protection solution for applications such as military vehicular mount terminals, Comms-On-The-Pause (COTP) terminals, VSATs, transportable uplinks, first responders terminals, disaster recovery networks, and LEO/MEO gateways. This lightweight, rapidly deployable radome protects VSAT and transportable antennas from rain, snow, ice, wind, sand, debris and heat. Whether the mission demands staying on-air during an 85 miles per hour (136 kph) windstorm, a sandstorm, a blizzard, hail, or torrential rains — the Portable Radome helps make satellite networks more survivable and deployable in extreme or harsh environments. The Walton Portable Radome (available for C-, Ku-, X-, or Ka-band) also affords operators significant cost saving versus conventional radomes for civilian or military networks. Operational in an 85 mph (136 kph) constant wind load, the self-supporting structure requires no power. It quickly assembles in less than an hour and requires no tools — unlike conventional radomes which can require two days and a crane to install, depending on their specifications. The flyaway lightweight (2.13x1.68 meter / 44.45 kg.) model is airline baggage checkable. Yet, for all these benefits, it can also support permanent site requirements. The Walton Portable Radome employs rugged, RF-passing, hydrophobic antenna cover materials. Field-testing has shown a minimal G/T decrease of only 0.31 dB at 20 GHz when the Portable Radome covers a small antenna, such the Ka-band terminal type that is used by the French Ministry of Defense. Additionally, in very hot climates, an efficient forced air/HVAC system can be added to the Walton Portable Radome to protect equipment temperatures underneath the radome and prevent equipment damage. The Portable Radome can also be used for fixed site ground networks. For LEO/MEO/GEO constellation infrastructure, this product can deliver gateway site cost-savings and other advantages compared to traditional radomes. After beta testing multiple designs and customer-specific requirements and trade-offs, the company unveiled the baseline design in Q2 of this year and received enthusiastic response and interest from traditional and new customers. Walton De-Ice continued to tailor the Portable Radome product features based on additional user input and testing over the next several months and decided to focus initially on serving the needs of specific growth segments of the market. Looking to 2019, the company is especially excited about the opportunities to work with existing and new industry partners, operators and integrators, to help deliver the benefits of the firm’s latest technology into LEO/MEO/GEO infrastructure, DoD programs, Earth station systems, and transportable network missions. 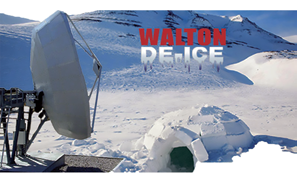 David Walton is Vice President of Walton De-Ice (W.B. Walton Enterprises, Inc.), where he is responsible for the Snow Shield, Ice Quake products and new product development. He has more than 37 years of satellite industry experience in the design, manufacture, and deployment of earth station technology, and holds several patents for his inventions in this field. He can be contacted at: david@de-ice.com. 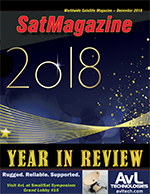 To sum up 2018, any observer would immediately note that the satellite industry is evolving. Today’s operators are delivering higher quality broadcast and high-speed broadband offerings over constrained networks and they need flexible, scalable and future-proof SATCOM solutions in order to achieve those goals. This past year has been exciting for WORK Microwave. The company has experienced strong growth in SATCOM sales and continues to build on the success of several major customer wins over the last three years. In 2018, WORK Microwave was awarded the largest single order in the company’s history by a key system integrator. Our ground station equipment will be used within teleports to support a high-speed satellite network that features a wide range of next-generation technology advancements, including higher frequency bands such as the Q/V bands, more powerful solid-state amplifiers as well as more efficient antenna designs that allow for 500 Gbps throughput. Looking beyond the success WORK has experienced in 2018, here are four key takeaways about where the firm believes the SATCOM industry is headed in the future and how the company is helping operators address the challenges they face today and tomorrow. As mentioned earlier, change is rampant in the satellite industry and that will continue into 2019. WORK is noting significant growth in data services and that is causing frequencies to move higher and bandwidth to increase. This creates new business opportunities as well as challenges for satellite operators. Whether operators respond with GEO, MEO, or LEO, they have multiple options to fulfill the demand for more data. HTS (High Throughput Satellite), UHTS (Ultra High Throughput Satellite), UHDS (Ultra High Density Satellite), and mega LEO constellations may provide the most efficiencies and cost savings. WORK Microwave is helping operators address this trend through our multi-band converters. As the industry’s leading provider of frequency converters, WORK Microwave shipped more than 1,000 frequency converters in 2018. That massive number demonstrates the industry is tackling growth in data services and is continuously exploring higher frequencies. Satellite performance is improving and that, in turn, requires superior quality ground equipment to enhance factors such as phase noise, group delay, and stability. 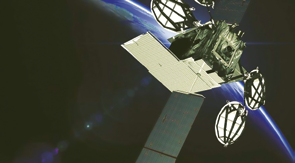 WORK Microwave’s SATCOM analog and digital solutions meet these challenges head on, helping teleport operators, satellite operators, and service providers realize their business objectives, including the critical need for flexibility, scalability, and a future-proof infrastructure. One of the ways the company is enabling operators to adapt to future requirements for data services with ease and affordability is through our end-to-end solution for wideband applications. Announced at IBC2018, WORK Microwave’s AX-80 series of FPGA-based satellite modem, modulator, and demodulator platform supports the new DVB-S2X standard for ultra-wideband transponders up to full 256APSK and 500 Msps. Through an all-IP structure, the platform supports native network operation as well as data streaming over IP, providing satellite operators with the flexibility that is critical in today’s fast-changing connected world. While there are many wideband prototype solutions in the market, WORK Microwave is proud to offer the first commercially available end-to-end wideband solution. As operators seek to expand their capacity and keep pace with the demanding communications requirements fueled by bandwidth-intensive broadcast and data services, they are looking more and more at Q- and V-band, going beyond the capabilities of Ka-band platforms. Recently, WORK Microwave introduced the industry’s first V-band block upconverter as an available product to help operators keep pace with this important requirement. We believe that Q -and V-bands will shape the blueprint of future broadband communications systems, as these bands will significantly enhance the performance of the next generation of high throughput satellite programs. Moreover, they make more bandwidth available for users in Ka-band and would also reduce the number of hubs required. This, in turn, will help drive down the cost per bit. WORK Microwave’s Q- and V-band technology has been successfully deployed by operators around the world for more than four years. Today there is a growing need for multi-frequency / multi-RF simulators in high-end market applications. Due to this demand, in 2019 the company will further invest in our professional navigation simulators business. With more than 30 years of SATCOM expertise in analog, RF and digital design, WORK Microwave knows what it takes to optimize professional navigation simulators. 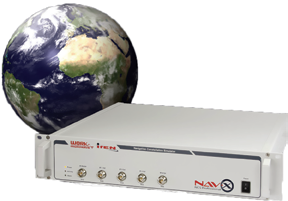 An RF-based GNSS signal simulator is the definitive tool to validate the performance of GNSS receivers and systems for research and development, manufacturing and system integration testing. Using our 12 years’ experience in the navigation field, we’re excited to make enhancements to the firm’s Multi-GNSS RF Navigation simulator. The firm’s focus will be in developing high-quality RF features that support users to realize scenarios that meet the challenges of today’s global navigation needs. Some highlights currently being addressed are realistic multi-path simulations, intentional and non-intentional interference and support for regulated services. This is another example of the continuous innovation and synergy across product teams happening at WORK Microwave. Given all of the change and growth occurring in the SATCOM industry, WORK Microwave expects there will be significant technology innovation in 2019, especially in the areas of digital, IP and FPGA solutions. Innovation happens when there is collaboration. This year, WORK Microwave launched an engineering services program to help other businesses with everything from design and development to consultancy, prototyping, and small series production. What makes these engineering services unique is that complete end-to-end product development and production processes are offered, with electronic engineering, mechanical engineering, manufacturing and testing expertise under one roof. With over 30 years of engineering experience in RF and digital signal processing, we can resolve any design challenge. In the future, the demand for higher quality broadcast and data services will only continue to grow. Satellite operators can respond by partnering with bold and innovative technology providers that support higher throughput, higher frequency bands, and offer engineering service expertise. Thomas Fröhlich has more than 20 years of professional experience in space and security systems. Prior to leading WORK Microwave, he held engineering, project management, and executive positions for the Airbus Group in Germany and France. He has a degree in mechanical engineering and a Ph.D. in engineering from the Technical University of Munich.